E2031XSLL-26D-41 Kaba E-Plex™ Electronic Pushbutton-Battery Powered Lock - Key-In-Lever, Kaba Cylind..
5021XS Kaba Simplex mechanical pushbutton lock with Kaba Key-in-Lever Cylinder (Schlage “C” Keyway) .. 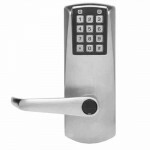 The Kaba E-Plex™ E2031 without key override is an electronic access control provides additional feat..
E2032 Kaba E-Plex™ Electronic Pushbutton Cylindrical Lock without key override is an electroni.. The Kaba 1021B Best I.C. Key Bypass Knob is a Simplex mechanical pushbutton lock offering a convenie.. The Kaba 1021C Corbin Russwin I.C. Key Bypass Knob is a Simplex mechanical pushbutton lock offering .. The Kaba 1021R Sargent I.C. Key Bypass Knob is a Simplex mechanical pushbutton lock offering a conve.. The Kaba 1021M Yale/Medeco I.C. Key Bypass Knob is a Simplex mechanical pushbutton lock offering a c.. The Kaba 1021S Schlage I.C. Key Bypass Knob is a Simplex mechanical pushbutton lock offering a conve.. 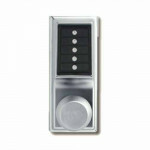 The Kaba 1031 Combination Entry Passage Mode Knob is a Simplex mechanical pushbutton lock offering a.. The Kaba 1041B Best I.C. Key Bypass/Passage Bypass Knob is a Simplex mechanical pushbutton lock offe.. The Kaba 1041C Corbin Russwin I.C. Key Bypass/Passage Bypass Knob is a Simplex mechanical pushbutton.. The Kaba 1041M Yale/Medeco I.C. Key Bypass/Passage Bypass Knob is a Simplex mechanical pushbutton lo.. The Kaba L1021B Lever Best I.C. 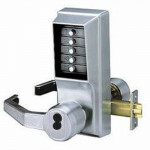 Key Bypass is a Simplex mechanical pushbutton lock offering a conven.. The Kaba L1021C Lever Corbin Russwin I.C. Key Bypass is a Simplex mechanical pushbutton lock offerin.. The Kaba L1021R Lever Sargent I.C. 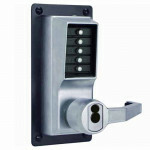 Key Bypass is a Simplex mechanical pushbutton lock offering.. The Kaba L1021M Lever Yale/Medeco I.C. Key Bypass is a Simplex mechanical pushbutton lock offe.. The Kaba L1021S Lever Schlage I.C. Key Bypass is a Simplex mechanical pushbutton lock offering a con.. The Kaba LP1020B Lever Best I.C. Key Bypass (for use with exits) is a Simplex mechanical pushbutton .. The Kaba LP1020C Lever Corbin Russwin I.C. Key Bypass (for use with exits) is a Simplex mechanical p..